Ordinarily prolific quotes are used to open works of great literature or discuss men of great importance. Alternatively, it can be used to impart great historical events. 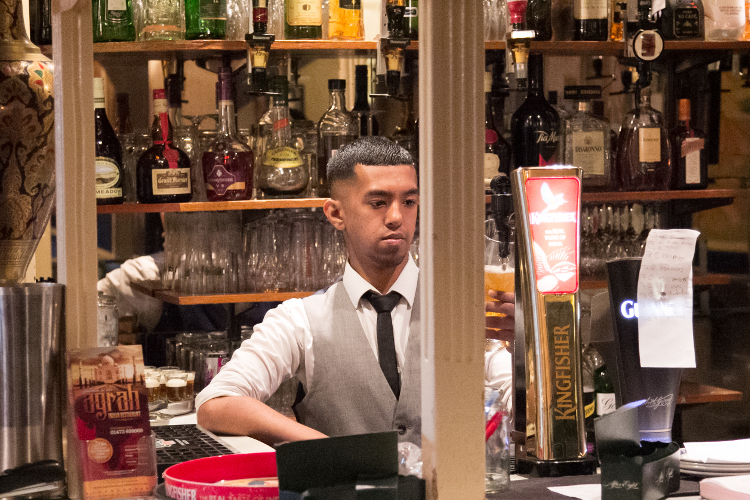 However on this occasion the start of a family business, called the Agrah restaurant and its owner; known by the name Azid Miah. It opened its doors on the 2nd of June 1980. At that time he was in partnership with two of his cousin’s ; Abdul Rouf and Abdul Bashir and his uncle Alkas Miah. Having immigrated from Bangladesh in the 1960’s and initially living in Bradford, they decided to go into the restaurant business when they realised that the move to England was more permanent. Our father Azid Miah arrived in 1967 prior to the Bangladesh Independance War in 1971. He studied in Bradford at a grammar school and his cousins studied elsewhere. He acclimatised to his new surroundings quickly and progressed to attain a place with a scholarship at the University of Bradford. During this time it was no easy feat to achieve this. From a young age he exhibited entrepreneurial flair and he knew what he wanted to do and where he wanted to do. Despite this Azid Miah decided to pursue business-this is where the quote highlights a pinnacle turning point in our fathers life. He had been employed by the Bradford Council and on returning from a visit from Bangladesh he discovered he was jobless providing him with the perfect stepping stone to begin a business. However he was not deterred. With his cousins and his uncle the searched far and wide across the United Kingdom for a suitable venue. He travelled across the landscapes of England in search of the perfect venue. After a while a relative that resided in Lincoln recommended a building located near the sea front of Cleethorpes. My father, grandfather and his cousins decided to take his advice and open a restaurant that introduced the inhabitants of the North East coastal town to Indian cuisine. It was the first of its kind and as a child I remember my father saying that there used to be queues for a table with a radiant smile and glistening eyes. 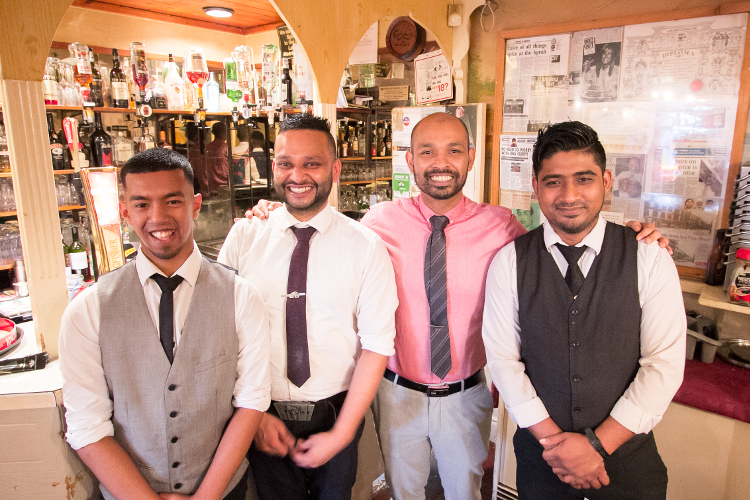 Together the three cousins and uncle opened Bombay Brasserie based on Alexandra road, New Agrah based on the High street, Helal Tandoori based in Louth and Aisha restaurant in Immingham. Over time the built up a solid customer base that returned for a myriad of events. This ranged from staff parties, meetings and banquets. 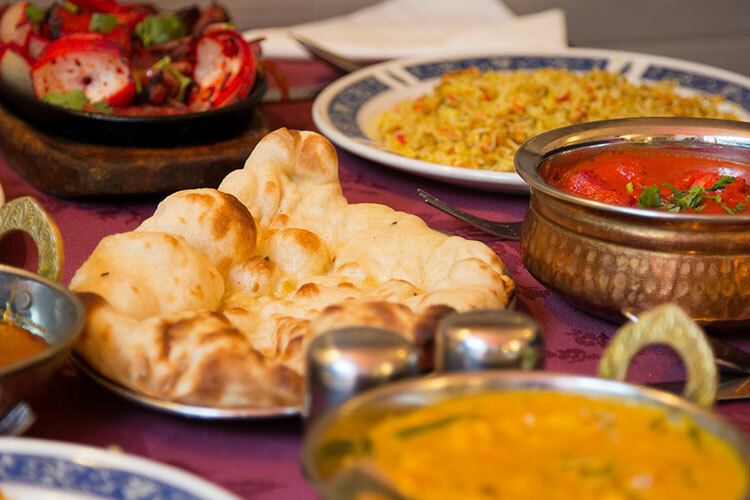 All of this was catered for by our chef; Abdul Sattar who began working for us in 1991. Over time our uncles and grandfather ventured out into opening businesses of their own and followed a path individual to them. At the heart of these achievements was family. Kamal Ahmad aided my father from the tender age of fourteen. Now it was a father and son team. The new generation of brothers and their father aimed to take the business to new heights. It initially began to support the needs of a family but now holds pride of place in the community. Kamal and his father have always welcomed the community as this was and still remains crucial to maintaining the Agrah. Family was the internal mechanism that sustained the heart but the customers were the external mechanism which maintained the success. Of course both had to be in sync and work simultaneously. In contemporary times when opening a business people undertake detailed course in hospitality management and lengthy MBA’s. Our father was only equipped with charm and had to find a place in a place that was foreign a struggle we take for granted. Now the restaurant responsibilities have been primarily left to Kamal Ahmad who has idiosyncratic ideas with the blessings from our father. Over the years the restaurant has retained its original décor, which enhances the authenticity of the owners dreams and era he hailed from. In current times our brother hopes to redesign and develop the Agrah. This is only a simple chronology inspired by the quote at the beginning which, I believe would have been a reason for people to give up and become discouraged. However,with confidence and faith Azid Miah did not give up enabling us to feel proud and provide us with incentive to preserve his escapade in writing. One other point to mention is that this is a stoic process that will continue with the support of our customers. Our restaurant is not just a restaurant that sells food to maximise profit, rather our business is a continuous story that you are a part of simply dining with us. To continue this journey with us and become part of our story the restaurant will still be there as the story of his and son on the cobbled Sea View street. * Delivery must be within 3 mile radius with a minimum order of £10.